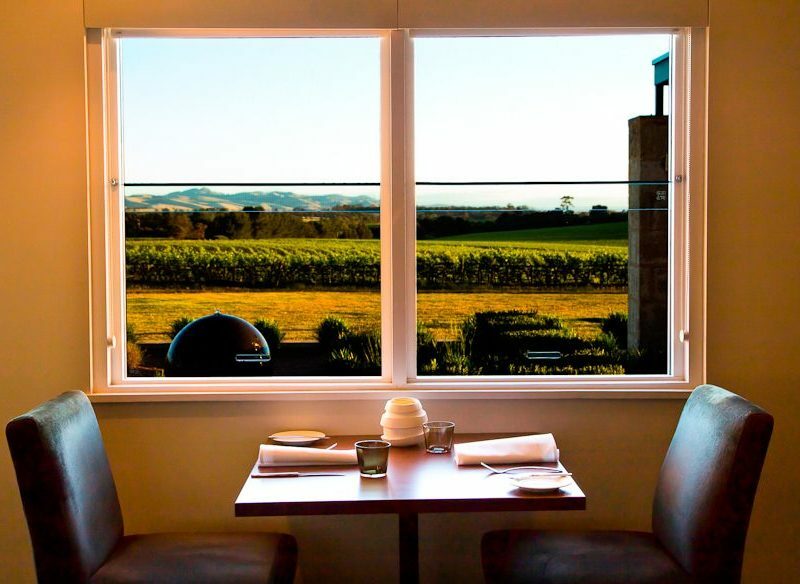 Barossa view: Appellation Restaurant, The Louise. Sipping your way around the best wines of South Australia’s Barossa Valley has never been easier with the Ultimate Winery Experience… and the food isn’t too bad either. When it comes to the many wineries sprinkled across this vast country, you can send yourself tipsy with choice deciding which region to visit. Thank goodness then for Ultimate Winery Experience Australia, which makes it a whole lot easier to track down amazing wineries from the Margaret River to the Hunter Valley. Offering experiences at some of our most loved vineyards, you’ll be quaffing your way from winery to winery like a seasoned veteran. With a rich history of wine-making dating back 150 years, the Barossa Valley alone is home to more than 70 wineries including the oldest commercial grape vines in the world (Turkey Flat in Tanunda, planted in 1847; a nice one to stump dinner party guests). To get a taste for the place, we joined Ultimate Winery Experiences Australia to visit some of the best vineyards in the region. Bottoms up! Much like your cheeky uncle – banter aplenty and always ready for a drop or two – The Blending Bench experience at d’Arenberg is entertaining and interactive, leaving you with equal measures of belly laughs and memories. Nestled near the limestone-rich cliffs of Port Noarlunga in the McLaren Vale, roughly 45 minutes shy of Adelaide, you won’t be disappointed with the views of the rolling sea of vineyards that stretch their way down to the ocean. You can taste your way through three different Shiraz varieties before indulging your dreams of being a fully fledged vintner: let your pallet decide the perfect blend to be bottled and taken home with your very own name on the label. If you’re lucky, Chester, storyteller extraordinaire and third generation Osborn winemaker (the creators of this fine company), may be on hand to fill you in on the rich 100-plus year history of the label and tell a story or three about his wine-making escapades. “OMG, that view is incredible.” It’s a safe bet that these exact words will escape your lips numerous times while sampling some of the mighty-fine varieties from The Lane’s extensive catalogue of delectable drops. The tasting room here has been designed so you can drink and take in the sights as the sun plays on the beautiful greenery of this Adelaide Hills property, 40 minutes from the South Australian capital. After planting a few vines on this old cow paddock a tick over 20 years ago, owner John Edwards has grown his winery into a name on the tip of many an aficionado’s tongue. With the added bonus of the restaurant perched atop the surrounding hills, a whole afternoon will easily slip by as you devour such delights as ocean trout ceviche, smoked avocado and puffed rice accompanied by a buttery Block 1A Chardonnay. OMG indeed. You can do as the MasterChefs do at Australia’s iconic Jacob’s Creek winery hands-on culinary experience, which will have you whipping up a TV-worthy feast with the help of executive chef Genevieve Harris. The four-hour cooking extravaganza, made popular by the MasterChef show, allows you to hand-pick your own produce from the veggie garden nestled near the outdoor kitchen of the Jacob’s Estate Cottages. Once all the hard work is done you can sit back and enjoy the fruits of your labour with a long lunch matched with Jacob’s Creek vino, complemented by the luscious Barossa landscape. Afterwards, stroll to the visitors’ centre to fill your luggage to clinking point with the winery’s extensive offerings. Seppeltsfield is another Barossa icon with a heritage dating back to 1851 and the only winery in the world to release a 100-year-old single-vintage wine each year – not too shabby. After arriving at this grand manor you can stroll around the grounds before being ushered into a dusty old room with port barrels as far as the eye can see for a Taste Your Birth Year tasting. Yes, you can sample the label’s celebrated nectar from the year you graced the Earth with your presence (buy a bottle to take home as the ultimate souvenir). And if you’re youthfully challenged, the Centenary Tasting tour allows you to sample a drop from the 100-year-old Para Vintage Tawny. Sweet as. 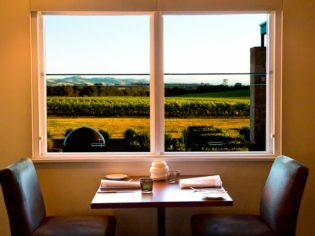 Ultimate Winery Experiences Australia: The company offers a range of options when it comes to scouring the area for vino or a place to stay. Long lunch at The Lane: This starts from $126 per person and includes three courses with matching wines. A tour of the vineyard and cellar, including tasting, will set you back an extra $105. The Blending Bench: Make your own wine at d’Arenberg for $65 per person with lunch. Tours are additional. Cooking classes at Jacob’s Creek: Cooking up a storm here will cost $175 per person and includes matching wines. Taste Your Birth Year: This Seppeltsfield tour costs $60 and the Centenary Tour will set you back $100. 2 out of 4 of the wineries mentioned are not in the Barossa Valley.